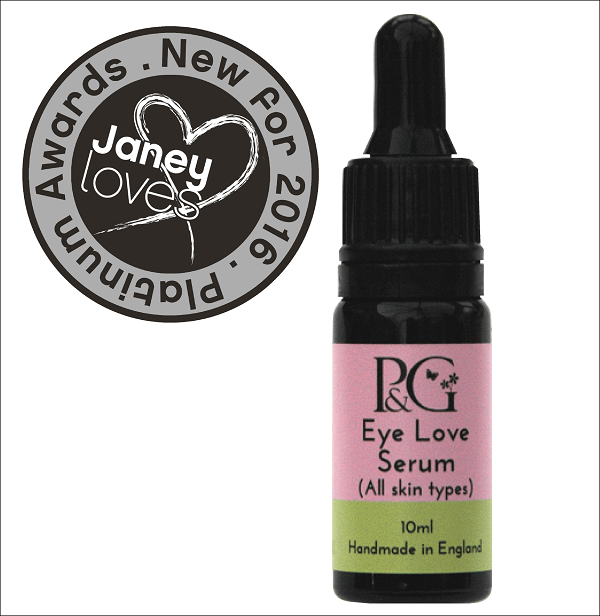 In January 2016 Pink& Green scooped a major national award for this eye serum. 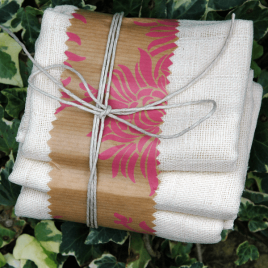 From the hundreds of entries received in the ‘New for 2016’ Janey Loves Awards, judges chose as winners, the creators of the most exciting new products unleashed that year. They selected our eye serum as one of their star products. We call our organic eye serum ‘Eye Love’ because that’s what it does. Apply this rejuvenating serum last thing at night and it will spread the love around your eyes, reducing puffiness and dark circles and smoothing out wrinkles and fine lines. This age defying serum is packed with exquisite natural ingredients that will hydrate the skin around your eyes and improve its elasticity. ‘Eye Love’ Organic Night Serum – for all skin types – including sensitive. A little goes a long way. ONE DROP is all you need. Too much oil-based serum in the eye-area may congest the skin around the eye. We recommend you use this serum only at night. Because your skin repairs itself while you’re sleeping, using our Eye Love serum overnight enhances its effectiveness. Our Eye Love serum is packed with ingredients renowned for their anti-ageing, and skin repairing and rejuvenating qualities. 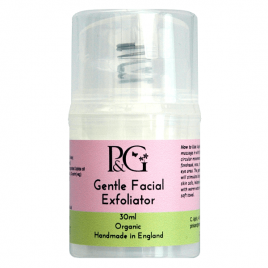 They include: jojoba oil, grapeseed oil, olive squalane, pomegranate oil, carrot tissue oil and vitamin E.
Vitamin E – This is an amazing anti-oxidant that also prolongs the shelf life of the product. 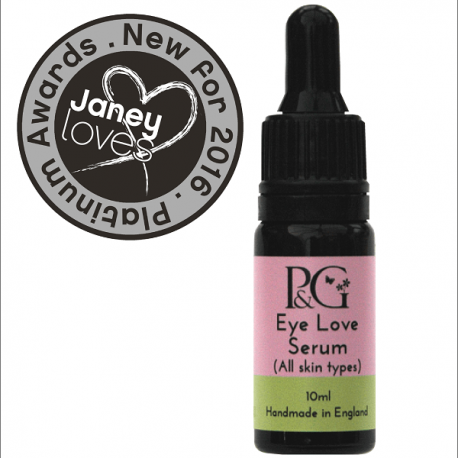 Eye Love serum contains no parabens, sulphates, petro-chemicals, artificial fragrance or colour. I can see a real difference since using this. Fabulous product. I am a regular user of all the products and find the Organic Eye Love Night Serum a fantastic new addition to the range. Highly recommended. This has become my favourite part of my bedtime routine, just one drop and I know I’ll be waking up in the morning with beautiful skin around my eyes, it’s also the best eye product I’ve found for sensitive skin. Worth every penny. Just one tiny drop is all that is needed for the magic to happen 🙂 Gorgeous product that has also nourished my eye lashes overnight let alone helped my dark circles fade and wrinkles smooth out . How magic is that? Just a tiny drop and I really do notice a difference. Thank you a wonderful product. I just love this product. A tiny drop of ‘Eye Love’ Serum’ is all you need. Gently dab on with your index finger and you will notice a difference within only a few days. This is without doubt the best eye treatment I have ever used. Thank you Carol.